The director of The Town and Gone, Baby, Gone may take on DC's premiere superhero team. Amidst all the fuss over Marvel Studio's incredibly succesful superhero franchise, it's important to note that Warner Bros. is planning its own superhero movies outside of the traditionally popular Batman and Superman franchises. The film production company is already gearing up for its own multi-hero blockbuster in the form of a Justice League movie planned for 2015, but a director and cast are still needed before the project can move forward. Warner Bros. is already on the hunt, having approached actor and director Ben Affleck in the hopes that he will bring to DC superheroes what directors like Joss Whedon have done for Marvel. The news that Affleck might be involved in DC's most important superhero project since The Dark Knight may be horrifying to some, considering Affleck's previous forray into superhero territory with Daredevil. The movie was a critical flop that stuck out like a sore thumb compared to the more successful X-Men 2, which came out the same year. 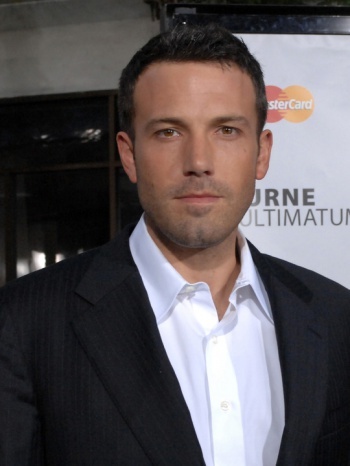 As an actor, Affleck's performances have ranged wildly from critically acclaimed performances in films like Good Will Hunting, to projects most try to forget ever happened like in Gigli. But before we give up all hope, remember that when it comes to directing, Ben Affleck has a very impressive track record. Gone, Baby, Gone and The Town were adaptations of crime novels that both received critical accolades, with The Town in particular proving he could pull off visually impressive action scenes. If he can make the transition from adapting gritty, Boston-based crime stories to larger-than-life heroics, Affleck could prove a very capable director for Warner Bros. It's entirely possible that Affleck might not be able to take on the project, since his involvement would likely take him out of circulation as a director for at least a few years. Affleck has also been offered the chance to direct a movie version of Stephen King's The Stand. If he accepts, Warner Bros. won't be able to wait for him without pushing its release date past 2015, the same period in which Avengers 2 is expected to hit theaters. Either way, if Warner Bros. hopes to compete with the blockbuster success that is Marvel Studios, it will have to make some important decisions very soon.